Bertin instruments develops innovative sampling, detection and measurement solutions for high added value markets. Bertin instruments solutions and teams are dedicated to the key worldwide industries of Nuclear, Defense & Security, Safety, Life Sciences and Environment. Bertin Instruments is providing state of the art solutions to «monitor the invisible». Its wide range of devices are addressing different markets for multiple applications. Since the very earliest days of its creation, Bertin has always addressing highly demanding markets to succeed all challenges. Strong of this expertise, Bertin Instruments developed the major patented successes in a range of innovative equipment, dedicated to the Nuclear, Defense & Security, Safety, Life Sciences and Environment industries. 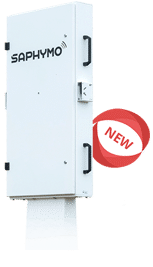 Through the expertise of Saphymo, Bertin Instruments is now proposing high added value solutions for Radiation monitoring. Bertin Instruments provides its customers with optronic devices – visible and infrared – for the protection and surveillance of high-risk hotspots and for the military market.